This LG adapter gives you the flexibility to power your laptop from the comfort of your home, office or while on travel. This charger meets LG’s manufacturing spec that assures the output quality of the LG charger. This power supply matches the correct voltage and current for the United Arab Emirates and is able to charge your laptop at full capacity. 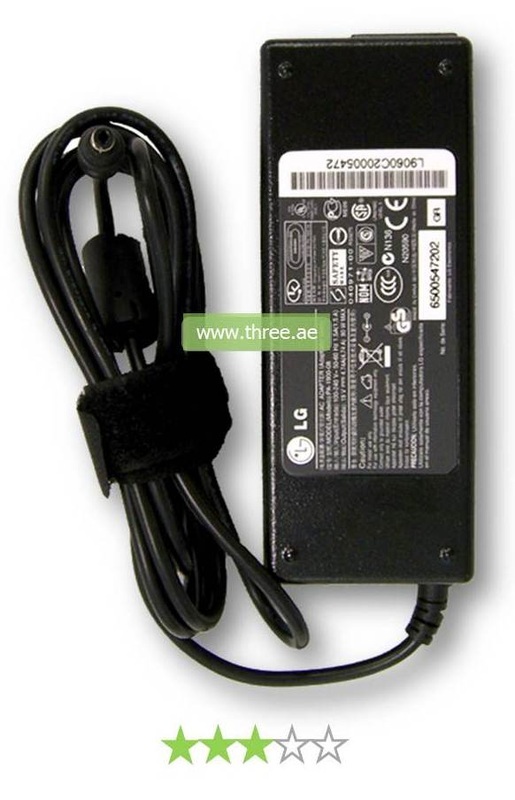 We offer clients a wide range of Laptop Chargers in Dubai and each charger is specific to the each model of the laptop. The LG Company is a top class company in the world dealing in electronics goods. These Laptop Chargers are attached with premium quality wire and transformer to convert the power according to the need of your laptop. We stock quality laptop chargers with different settings & plugs which can balance the wall power. Contact us and we will be pleased to help you to get your charger for LG in Dubai.